According to some rumors (hummm…) the TDP of the Radeon HD 6970 would be 300 watts. 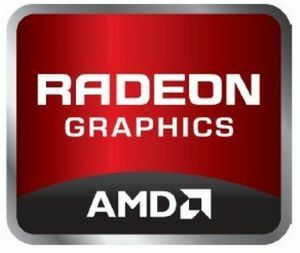 The Radeon HD 6970 is based on the Cayman XT GPU and should come with 1GB of GDDR5 memory clocked at… 7000MHz effective. HD 6970 board will have a 6-pin + 8-pin power connectors. Radeon HD 6970 has been designed to be the GeForce GTX 480 killer… and should be released at the end of 2010! cant wait for the amd fanboys to cry when they see this thing runs hotter than GF100!.. If it’s indeed 300W, then that means it will come with Barts XT specs, doubled. Such a chips should be around 70% faster than the Barts XT or more and since Barts XT is at about 5850 speed, we are looking at a card that is 70% faster than a 5850.
nVidia is already lost. The only selling card 460 is completly outmanovered by the 68xx series. So they loose that little market share left. No one is stupid enough to buy GTX480 or 470. They just are not a good investment at all. JJH has to go! His ego is killing nVidia. I just wish that Radeon 6990 pisses all over GTX580 and no matter how much nVidia is paying Crytek to optimize crysis 2 for their hardware, 6990 simply comes at the top. nVidia has played dirty for too long. It should learn that it can’t just bribe out of its ditch.